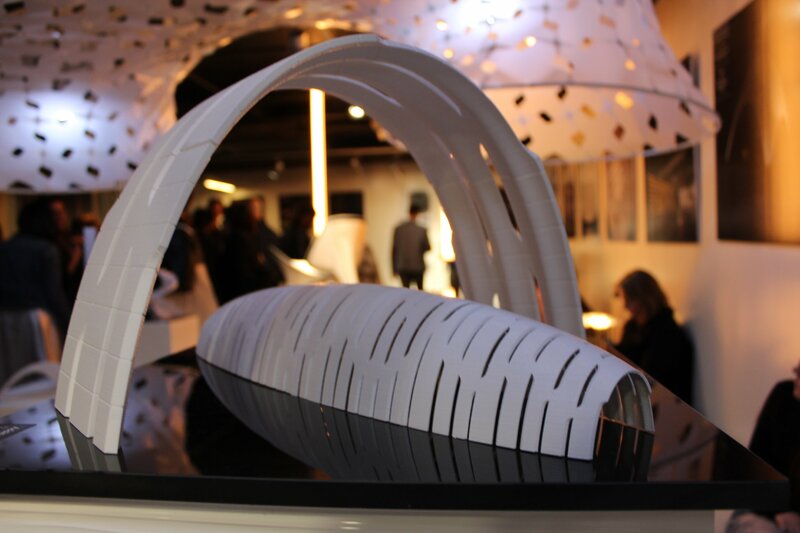 From April 20th to the 29th, we will exhibit “Additive Stereotomy”: a proposal for constant stress arches constructed from voussoirs (building blocks) that are 3D printed using binder jetting technology. 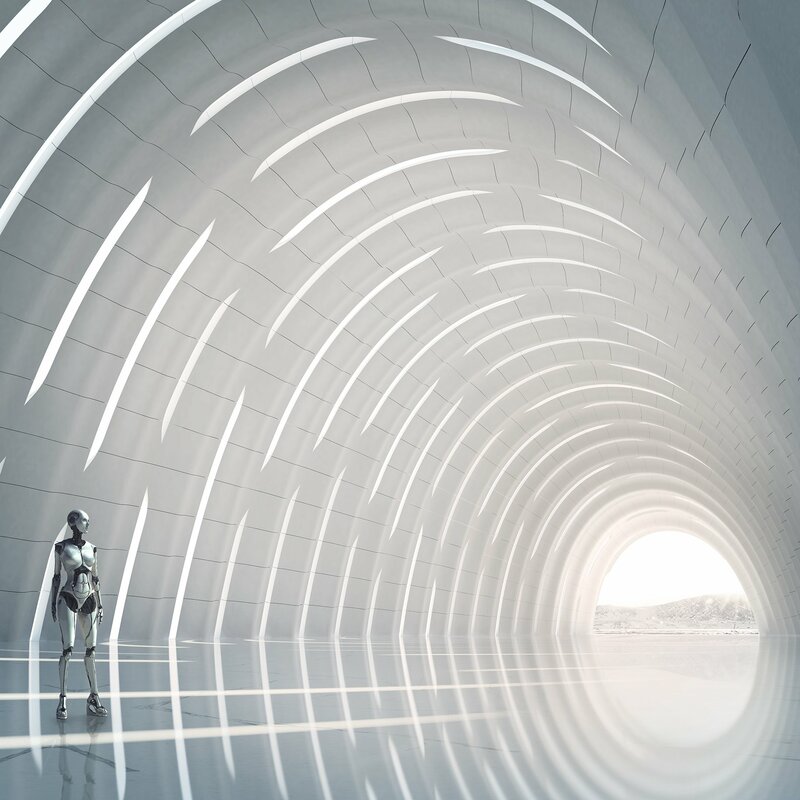 Additive Stereotomy represents a novel building system thought to realize a vaulted space to be fabricated by means of large scale additive manufacturing techniques. Part of the exhibit is the 3D printed scale model shown above, provided by Apulia Makers 3D. 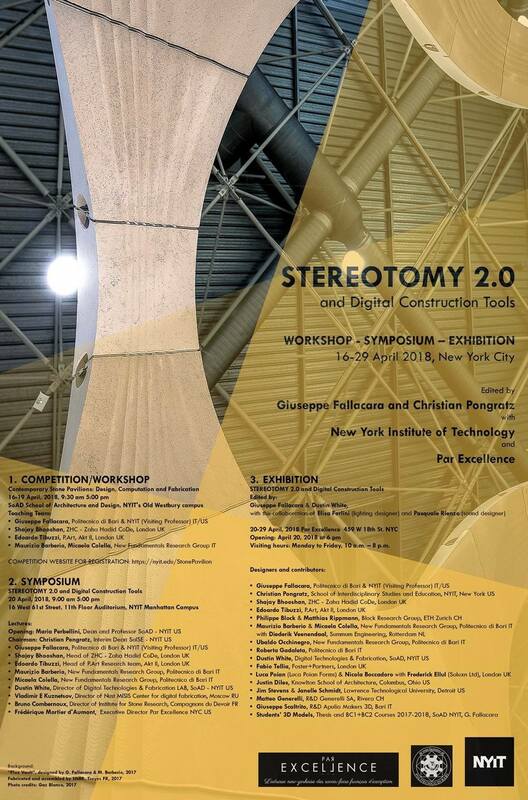 The event, “Stereotomy 2.0 and Digital Construction Tools”, is co-edited by Giuseppe Fallacara and Christian Pongratz with the New York Institute of Technology (NYIT), to be held at Par Excellence, New York. The event includes a workshop and symposium. The exhibition boasts an amazing line-up, including entries from Zaha Hadid CoDe, P.ART and AKT II, the Block Research Group, and so on! The main idea is to design a big open space covered by a series of adjacent arches. Under permanent load, the arches are thought to be statically independent, in order to form a sort of “false vault”. 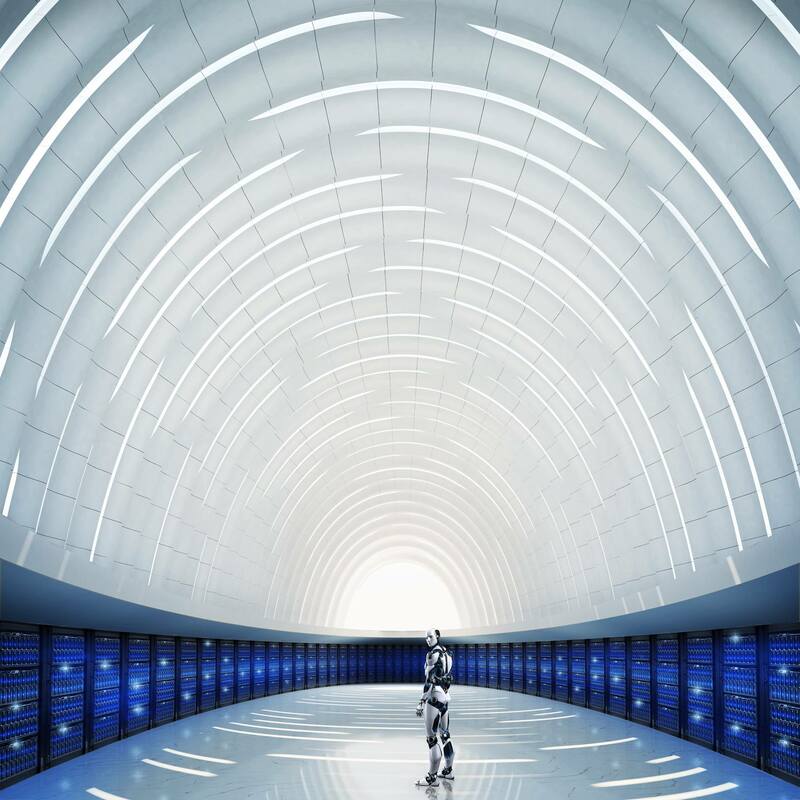 The use of side-by-side arches allows the creation of freeform barrel vault, in which the overall shape of the structure is not conditioned by the static functioning of a traditional vaulted system. In other words, each arch must resist only its own weight and the prestress loads. The arches are divided into voussoirs which have a load bearing core and two variably cantilevered slimmer parts on the sides. The cantilevering side parts can be shaped in such a way as to create differentiated openings to permit natural lighting and, at the same time, insert artificial lighting systems. Material properties are based on the 3D printing technology provided by Concr3de. 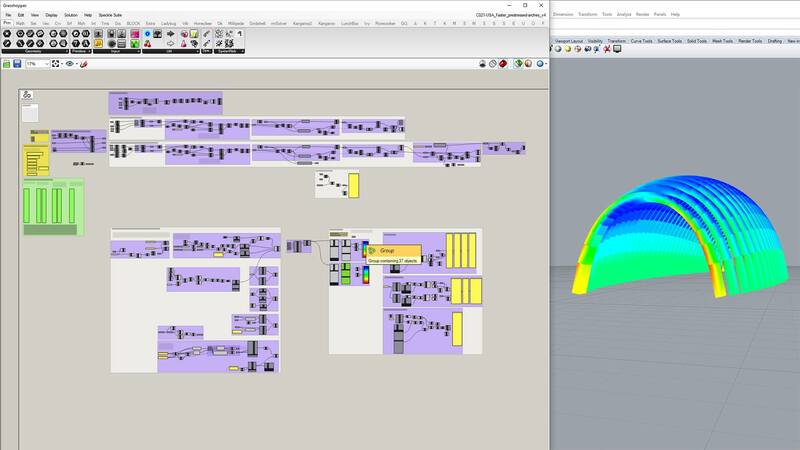 Each voussoir is topologically optimized to achieve a volume fraction specific to its position in the arch, in order to achieve constant stress. The entire arch is prestressed by a central tendon, to deal with live loads, and allowing the assembly and disassembly of the arch. The prestress disturbs the stress state for a conventional constant stress arch, requiring its shape to be reassessed. Summum Engineering determined the shape of the arches and volume fraction of the voussoirs to achieve constant stress, as well as the amount of prestress to keep them in compression under external load. Can’t stress it enough: the line-up is amazing!